15 years after the game came out! Grand Theft Auto: Vice City was first released so many years ago (2002) that you’d be forgiven for not remembering the character of Auntie Poulet. But the Psychic Readers Network certainly remembers her. 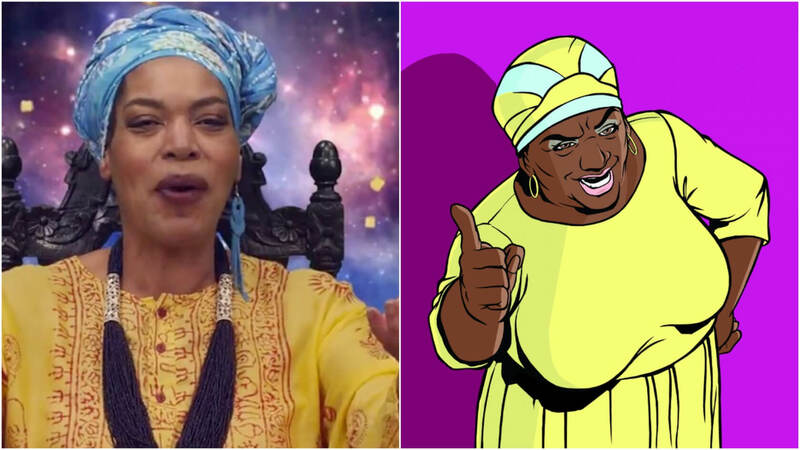 It says the fortune teller violates its copyright on once-famous TV psychic Miss Cleo, and has launched a lawsuit against Rockstar and Take-Two Interactive for the alleged infringement. The suit says Psychic Readers Network spent $100 million creating and promoting Miss Cleo over the years. It claims Rockstar made over $500 million “exploiting” the persona, and notes that the actress who played Miss Cleo on TV also provided the voice for Vice City’s Auntie Poulet. The “widely known television informercial psychic” was portrayed by Youree Harris, who passed away at the age of 53 in July last year. Psychic Readers Network says the reason its waited 15 years before deciding to launch a lawsuit is because Rockstar keeps making money from Vice City though reissues – the game was re-released for smartphones and tablets in 2012 to coincide with its tenth anniversary. Surprisingly, most people have reacted to this claim with a heavy dose of skepticism. In 2002, the FTC filed a complaint against Miss Cleo and the Psychic Readers Network for a number of misdeeds, but Harris was quickly dropped from the suit. During a 2012 interview with Vice, she said that the Network ripped her off, too. Responding to the claims, Rockstar said they "are entirely meritless and completely ridiculous. We will vigorously defend ourselves with regard to this matter." The situation brings to mind the Lindsay Lohan and Karen Gravano (Mob Wives) lawsuits launched against Rockstar over their supposed likenesses appearing in GTA V. Expect this case to be thrown out just as quickly as those suits. It's just surprising that the Network hasn’t used its psychic powers to foresee all this.